In what could not possibly be a coincidence, The Telegraph published an interview yesterday where they fawned over Jeff Bezos. Unlike the NYTimes article from Saturday, the Telegraph's interview was a puff piece. It was less a nuanced take on a complex person than it was the text version equivalent of that 60 Minutes advert in 2013 for Amazon's new drone program. How do you suppose Jeff Bezos, a man worth roughly $48bn (£30.8bn), spends his weekends? Hobnobbing with other billionaires at his West Hollywood mansion or his multi-apartment home overlooking New York's Central Park? Not last weekend. He was in the US coastal city of Seattle that he and his family have called home for the past two decades. And he went to the movies. “I saw Mission Impossible 5 with my kids. It’s terrific, it’s extremely good,” laughs the 51-year-old. The article goes on to lightly touch on Amazon's successes and failures, and it dwells lengthily on Amazon initiatives into tv shows. It quotes Bezos gushing that he thinks "we’re in a golden age of television, so if you go back in time even just five years, you couldn’t get A-list talent to do TV serials, or, if you could, it was a rare thing. But that’s flipped completely." 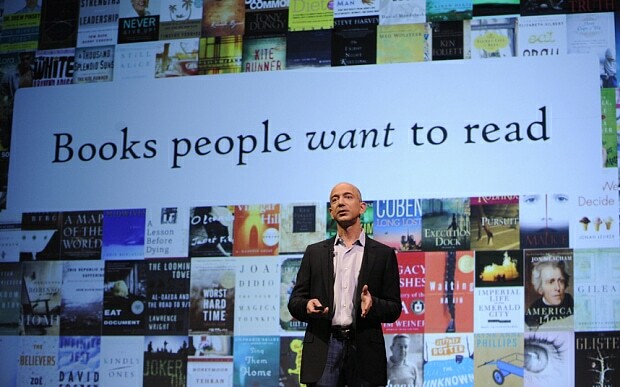 It's a puff piece, but if you're not familiar with Amazon then it could be informative. Just don't take everything as fact; I've come across a couple factual errors while I was reading it, and a close reading would likely turn up more. The NYTimes would probably also like you to keep in mind that Bezos was hobnobbing with a reporter while at the same time his company was ruining the lives of its employees. Or at least that's one side of the story; a number of Amazon employees have disputed the accuracy of the claims made by David Streitfeld.